The Egyptian mobile tycoon wants back into Italian telecoms. Investing in TI would be a Carlos Slim-style bet on low valuations and an old-world telco’s turnaround potential. The target’s top shareholders may balk. But the miserable status quo at TI is unlikely to hold. Telecom Italia confirmed On Nov. 12 that Naguib Sawiris, the Egyptian telecoms billionaire, was interested in making an investment, through underwriting an issue of new shares. “The initiative is described as being aimed at bringing new resources to the Company to be dedicated to growth projects,” Italy’s largest telephone company said in a statement. Telecom Chairman Franco Bernabe told reporters that Sawiris’s interest showed “there is important value in the company”. However, a source close to the matter told Reuters that Telecom Italia’s board “reacted coldly” on learning of the Egyptian businessman’s offer. Telecom Italia’s statement followed reports in the Wall Street Journal and Corriere della Sera newspapers, which both said Sawiris was prepared to invest up to 5 billion euros. A spokeswoman for Sawiris later confirmed his interest but said that figure was “inaccurate and excessive”. Telecom Italia is controlled by Telco, an unlisted holding company owned by Spain’s Telefonica and three Italian financial institutions: Assicurazioni Generali, Mediobanca and Intesa Sanpaolo. Telco holds 22.4 percent of Telecom Italia’s shares. 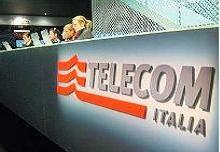 Telecom Italia shares were up 4.2 percent by 1400 GMT at 0.72 euros.